Brad and I have recently returned from our one thousand mile Thanksgiving road trip, and for that reason I’ve been a little absent from the blog. But I’m back, getting caught up with holiday decorating, shopping, and party planning. 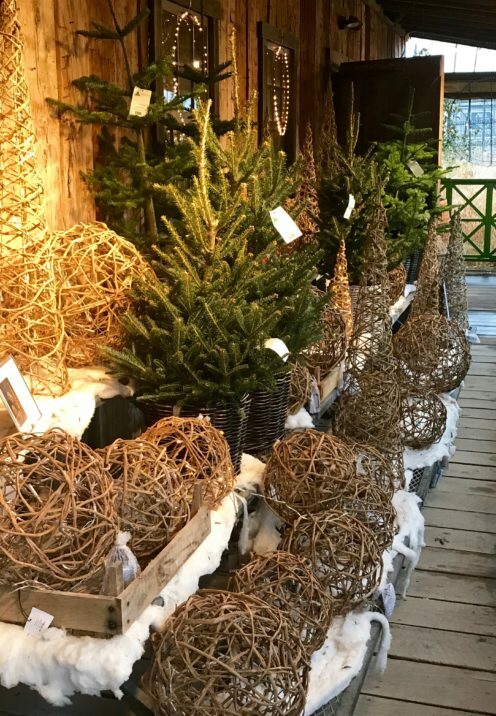 It’s such a busy time of year that it’s sometimes hard to stop and enjoy the season. But Brad and I enjoyed our trip so much that I thought I’d take the time to look back, and while I’m at it, share it with you. In September we welcomed a new daughter-in-law, Ann, into the family, and with her came a whole new extended, east coast clan. Ann hails from New Jersey, where she has a very large family that includes a lot of aunts, uncles and cousins, about 30 of whom gathered together at Ann’s parents home for a fabulous Thanksgiving feast. It is the first time in decades that I did virtually zero cooking on Thanksgiving! And I sat, and was served, and I didn’t even do dishes! This was an absolute first for me! I hope they invite me back. 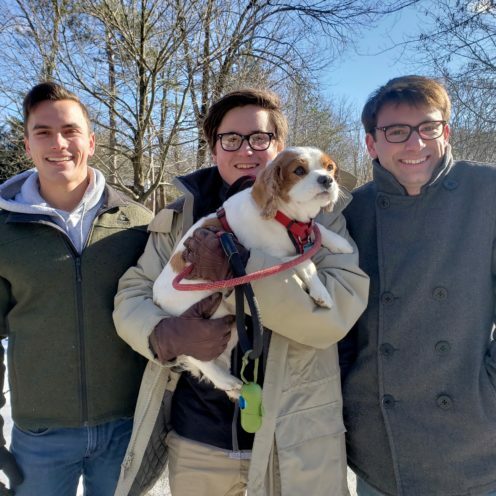 It was a brisk 27 degrees on Thanksgiving when the boys took Teddy, the family dog, for a walk. My newly married son on the right, his new brother-in-law on the left, & my youngest son in the middle. 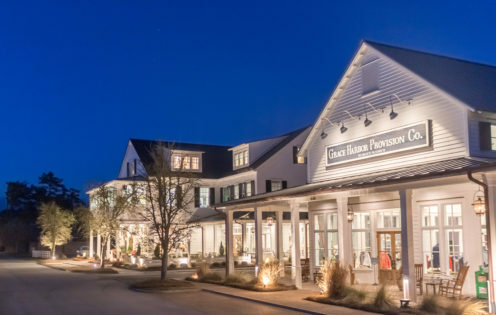 After 3 days in New Jersey we hit the road in our rented SUV, next stop, Pocantico Hills, New York, where we met our New York dwelling son at Stone Barns Center For Food & Agriculture. 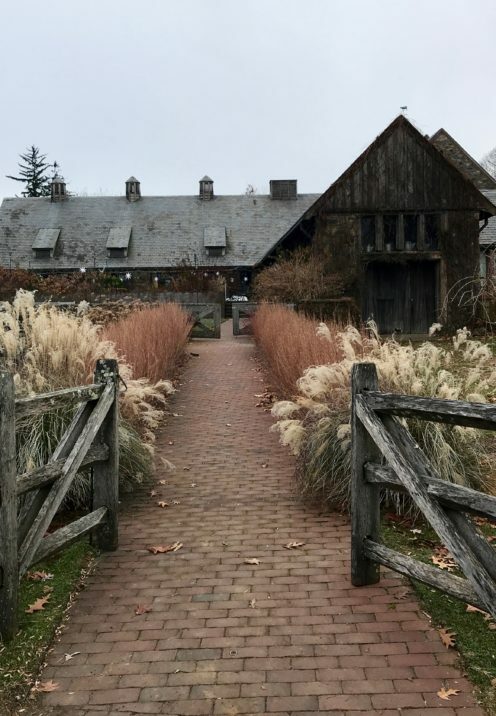 I had scheduled a tour of the famous farm, once owned by the Rockefeller family, and also home to the amazing Blue Hill Restaurant. 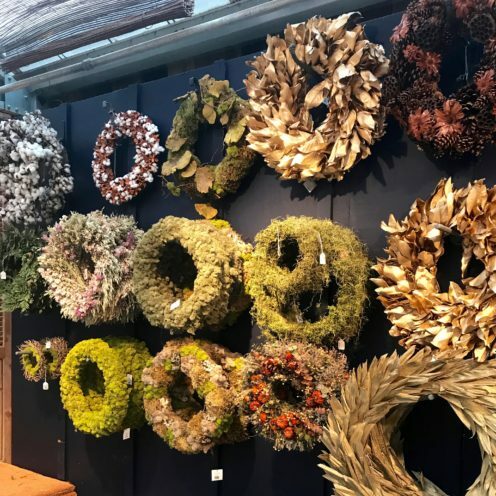 Sourcing from the surrounding fields and pasture, as well as other local farms, Blue Hill at Stone Barns highlights the abundance of the Hudson Valley. 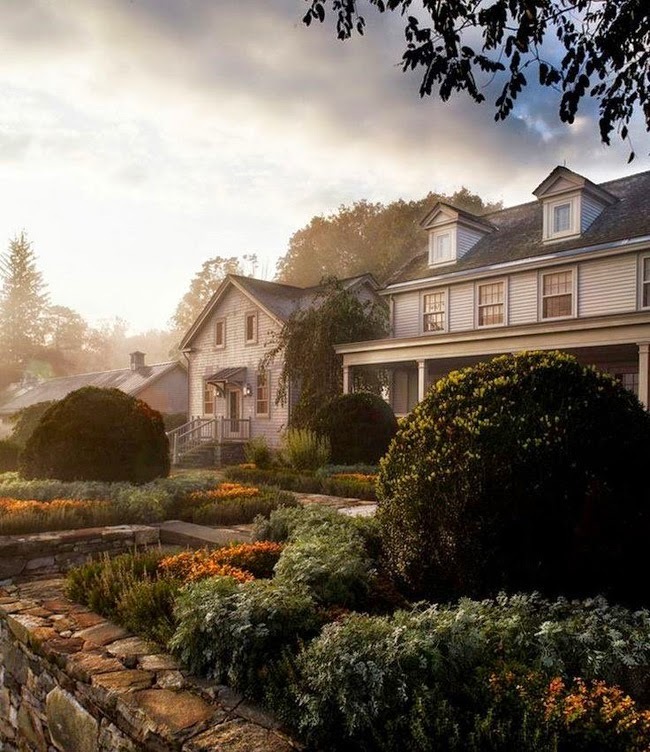 There are no menus at Blue Hill at Stone Barns. Instead, guests are offered a multi-taste feast featuring the best offerings from the field and market. 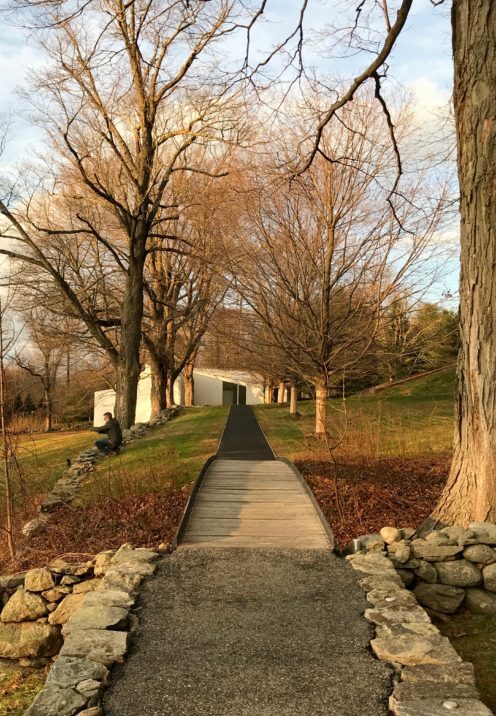 I first learned about Stone Barns when I saw an episode of Chef’s Table featuring chef Dan Barber of Blue Hill and I became so intrigued I never forgot. I told myself one day I would go there. 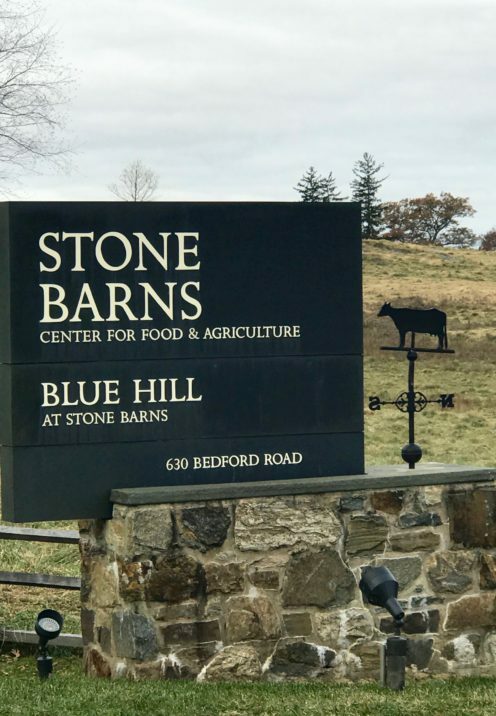 Our tour of Stone Barns Center, a working four-season farm, educational center, and source for much of the food served at Blue Hill, is just 30 miles north of New York City. It was beautiful and amazing, so much so that I will devote an entire upcoming post to it soon. After our tour of Stone Barns Center we headed a few miles down the road to the Union Church. As was becoming very clear, the Historic Hudson Valley was Rockefeller country. 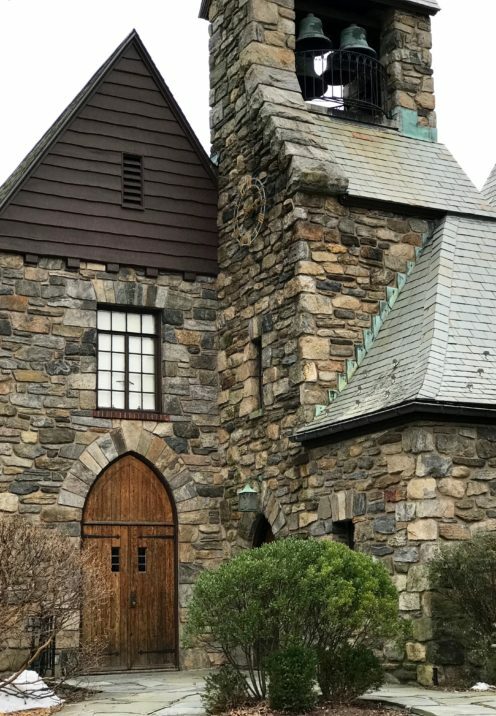 The Rockefeller estate, known as Kykuit, was nearby, so Mr. & Mrs. John D. Rockefeller, Jr. were among the founders of this very special, non-denominational, Protestant church, inaugurated in 1915. 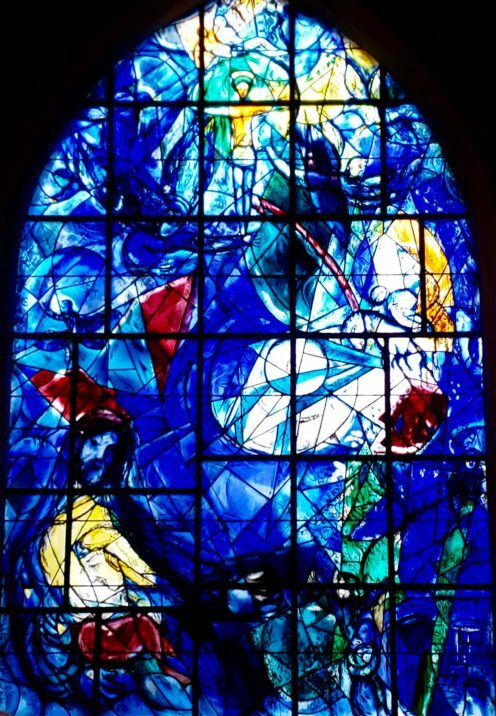 What makes this little church so very special is the fact that all of its stained glass windows were the work of two modern masters, Henri Matisse and Marc Chagall. The Rockefeller family commissioned the windows to be made, which include the last completed work by Henri Matisse before his death in 1954. The Good Samaritan | By Marc Chagall | In Memory of John D. Rockefeller, Jr.
Our NY dwelling son and daughter-in-law live in a super charming small village called South Salem which is located in the idyllic Hudson River Valley in Westchester County. To see just how utterly beautiful this part of the planet is I recommend you follow our son’s carefully curated Instagram account, where he features so much of the beauty of his little piece of American paradise. 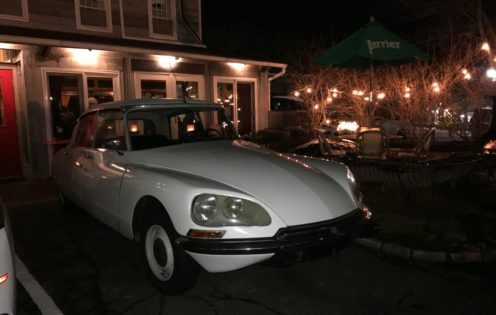 But for the first night of our visit with him we enjoyed a little piece of France, at this real-deal, rustic-French restaurant and neighborhood haunt, Luc’s, where I had authentic Filet of Sole, and Brad enjoyed Steak Frites. 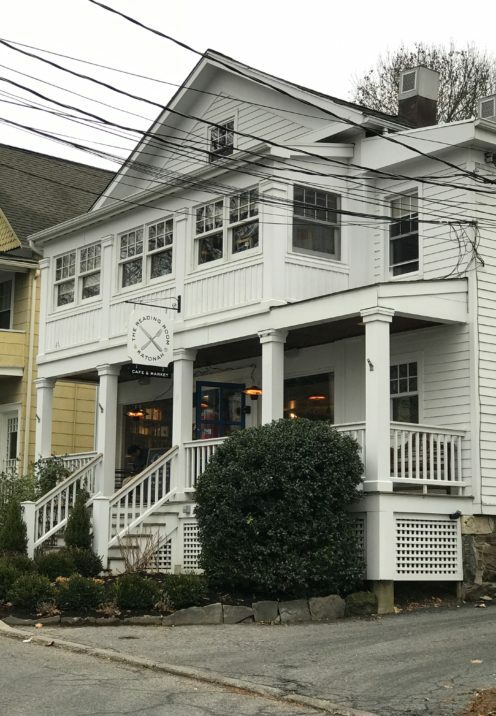 The next morning we ventured into the nearby town of Katonah. 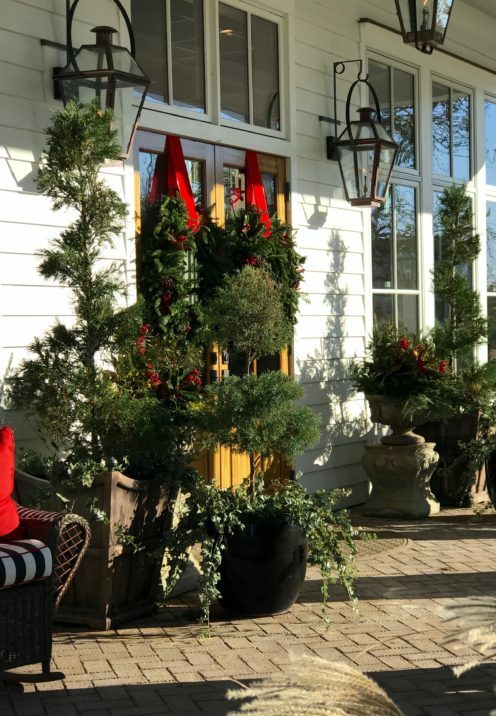 All the little villages in the area are oozing with charm, and this time of year were getting all dressed up for the holidays. Our destination was this establishment called, The Reading Room, a cafe & book store. 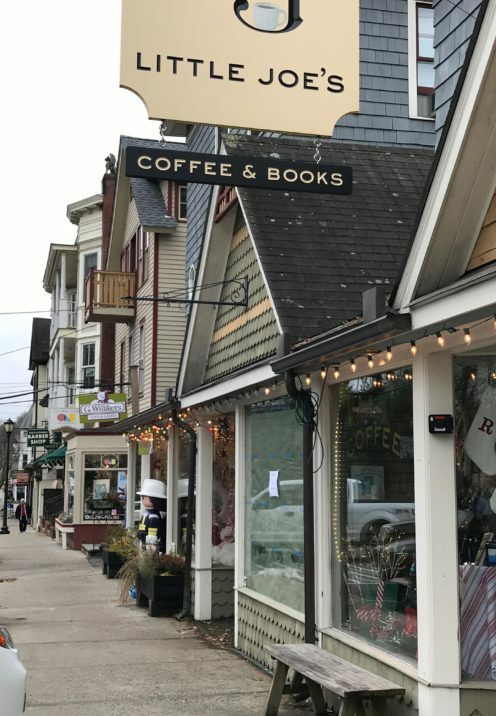 Located in this vintage clapboard building that was once a library, then a gourmet store, and is today the perfect marriage of both good food and great books. I picked up a copy of Reese Witherspoon’s book, Whiskey in a Teacup, while there. It’s such a funny and fun read about what growing up in the south taught her about life, love, and baking biscuits. I can’t wait to try Reese’s Cheddar Biscuit recipe! 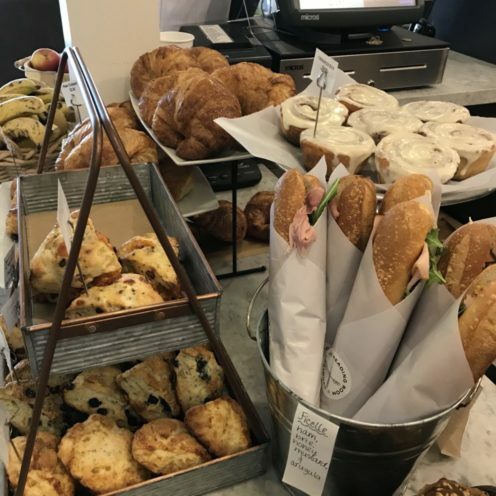 So, The Reading Room was absolutely humming on the brisk Sunday morning of our visit, with folks clamoring for their delicious and inventive fare, served up in a most charming atmosphere. If I owned a cafe I would want it to be just like this one. Wish we had one here in Lake Arrowhead! In fact, we liked it so much that we returned the following morning to pick up provisions for the continuation of our road trip. 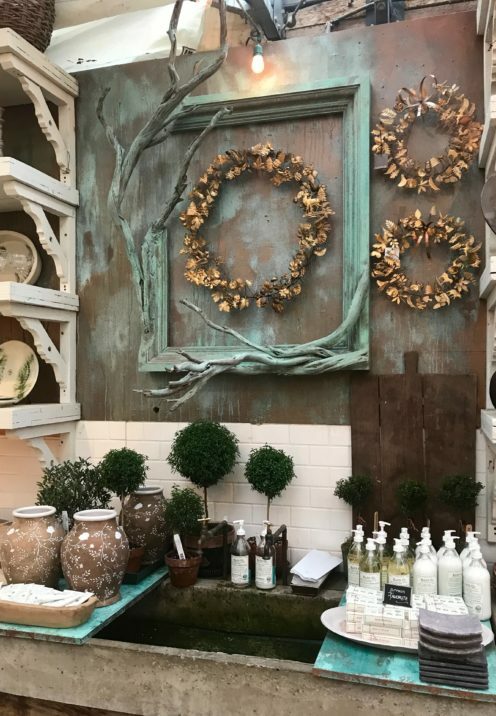 But I’m getting ahead of myself, because I still need to tell you about our Sunday in the Hudson Valley, which just happens to be Martha Stewart territory. I know Martha is somebody that some people love to hate, I think because she is seemingly so perfectly-perfect in an other-worldly sort of way. But in our little drive-by, she actually proved to me that she really does practice what she preaches. 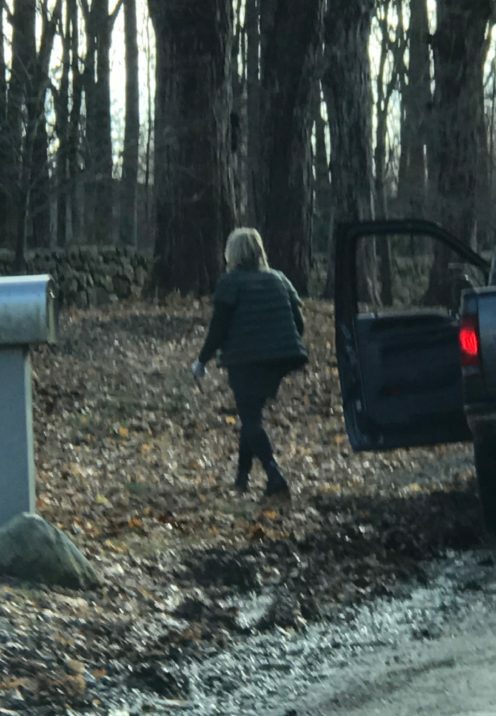 There she was, early on a cold Sunday morning, outside her property helping a worker cleanup leaves and branches, which they were together loading into the bed of a pickup truck. 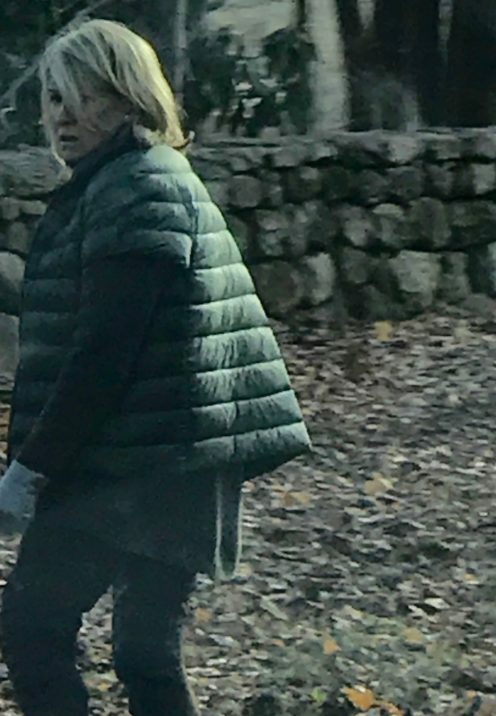 And there she was, sporting the cute, short sleeve puffer jacket that is part of her own QVC clothing collection, and can be had by clicking here. 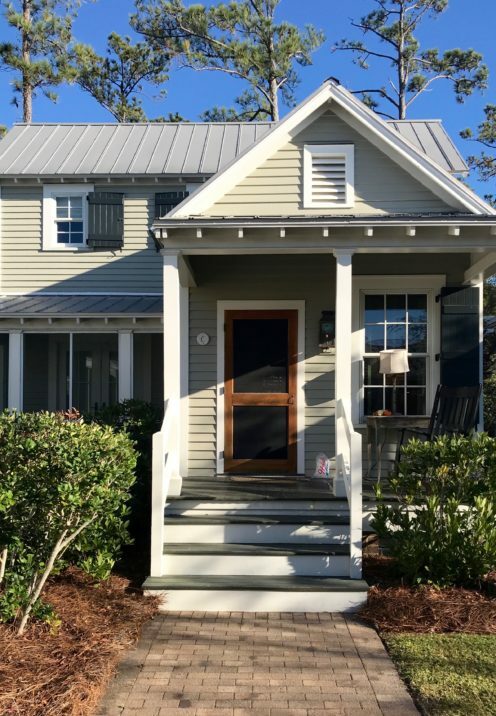 and another home called the Summer House. Tenant’s Cottage is where I understand her daughter, Alexa stays with her family when she visits. 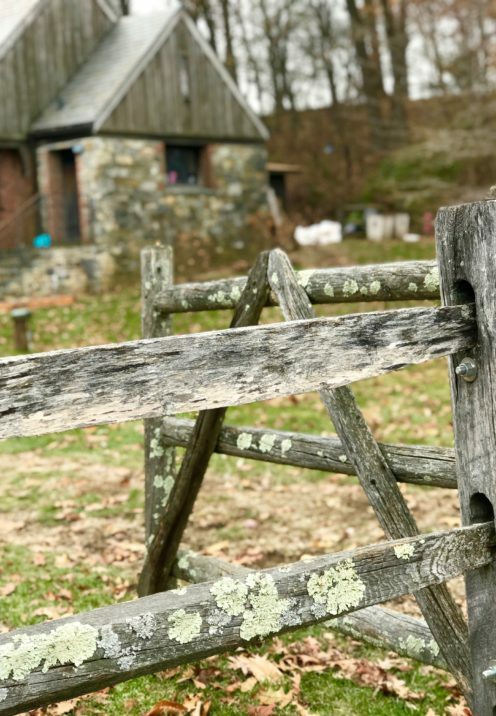 There are stables, and green houses, and vegetable gardens, and chicken coops, as well as 4 miles of carriage paths within her compound. 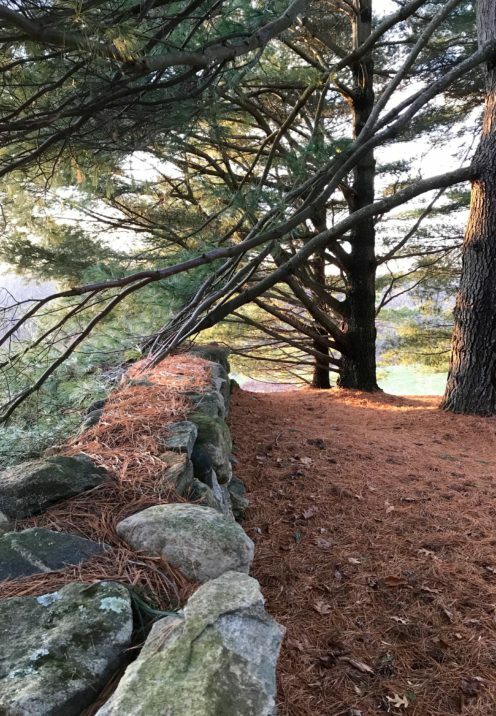 For a comprehensive look inside the grounds of Cantitoe Corners and lots of interesting information about it, have a look at this blog post on Martha Moments. 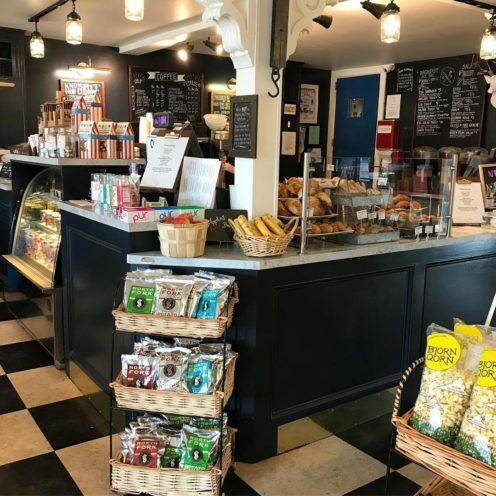 The Historic Hudson Valley is simply overflowing with fascinating places to visit, so I look forward to my next visit when I can see many of the places I missed on this trip. 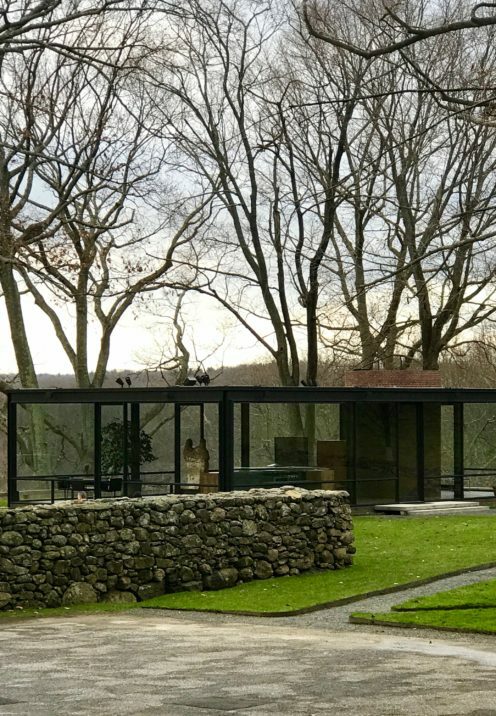 However, after our Martha sighting we made our way to nearby New Canaan, Connecticut where we toured The Glass House. Built between 1949 and 1995 by esteemed architect Philip Johnson as his home, it is now a National Trust Historic Site. The pastoral 49-acre landscape comprises fourteen structures and features a permanent collection of 20th-century painting and sculpture, along with temporary art exhibitions. Tours of the site are available in May through November, and we were lucky enough to be there on the last day before they closed for the season. 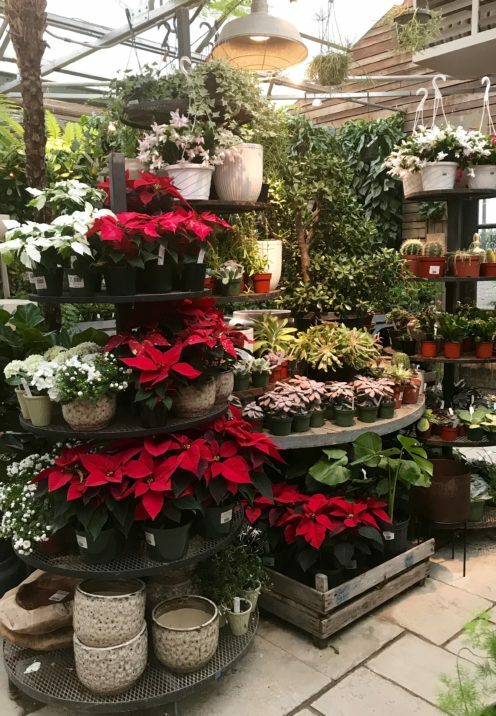 We enjoyed our visit very much, and there is a great deal to share, so I will be dedicating a blog post to The Glass House in the near future. 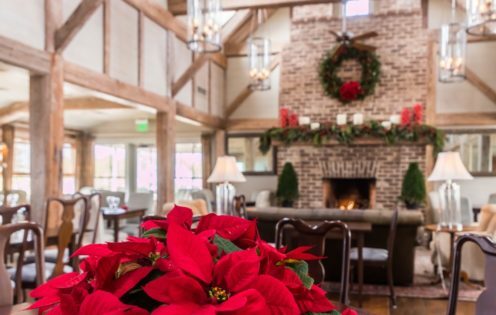 After a delicious brunch and a long day of sightseeing we were so ready for the wonderful meal we had at the terrific Inn At Pound Ridge, which is a stones throw from our son’s home. How lucky they are to have such wonderful food and fine chefs in such close proximity to where they reside. 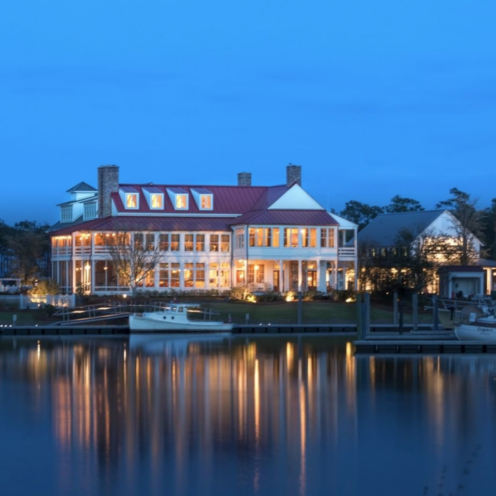 Chef Jean‑George’s casually elegant restaurant is ensconced in this lovely residence that was constructed in 1833 and later served as an Inn. 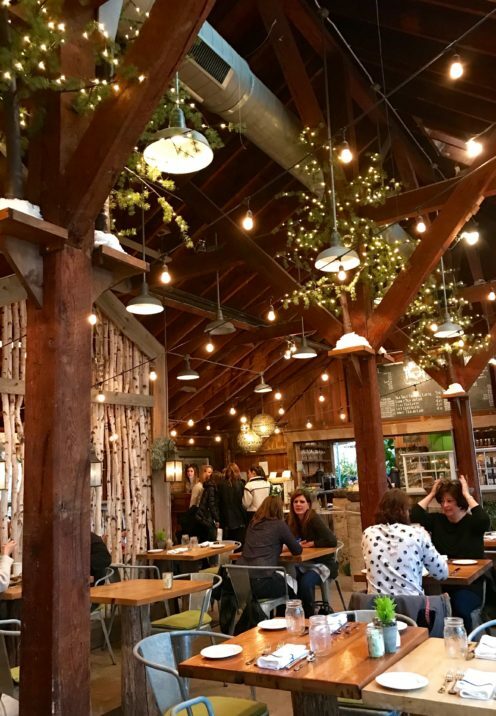 Now it is a truly seasonal, farm-to-table restaurant, with ingredients sourced as much as possible from the surrounding Hudson Valley. The food was simply divine and the atmosphere equally delicious! 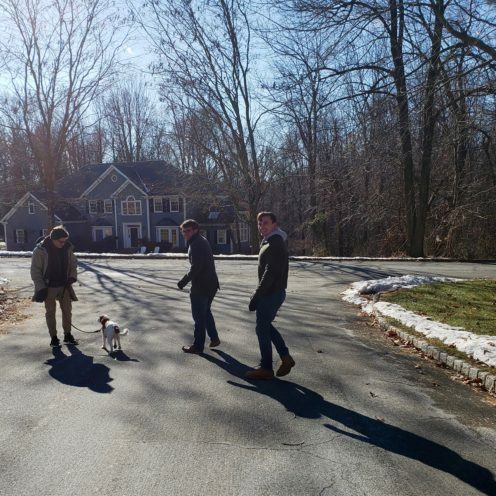 After spending 2 nights with our NY dwelling children we headed south to visit our DC dwelling offspring. The halfway point of our 5 1/2 hour drive would put us near Glen Mills, Pennsylvania just in time for lunch. 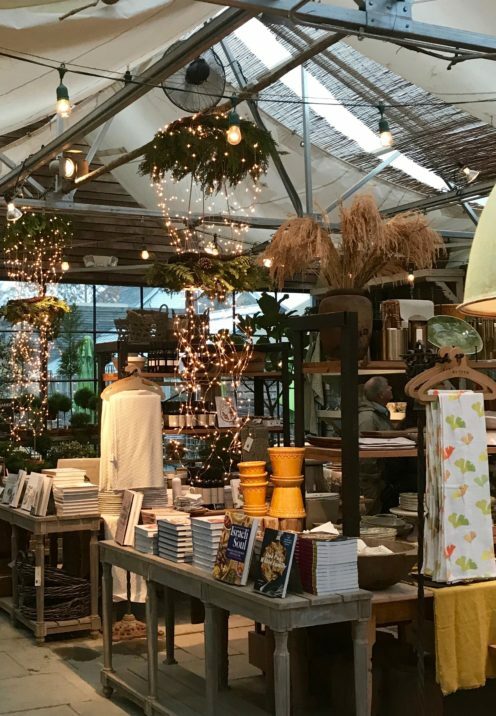 I have had on my bucket list for some time the fabulous home & garden store, Terrain. 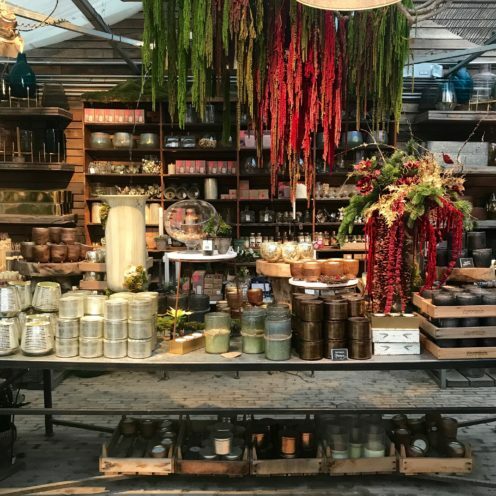 While Terrain has several locations in California, I have yet to visit them, so I added Glen Mills to our GPS and we pulled into their crowded parking lot just as the skies opened up with a torrential downpour. 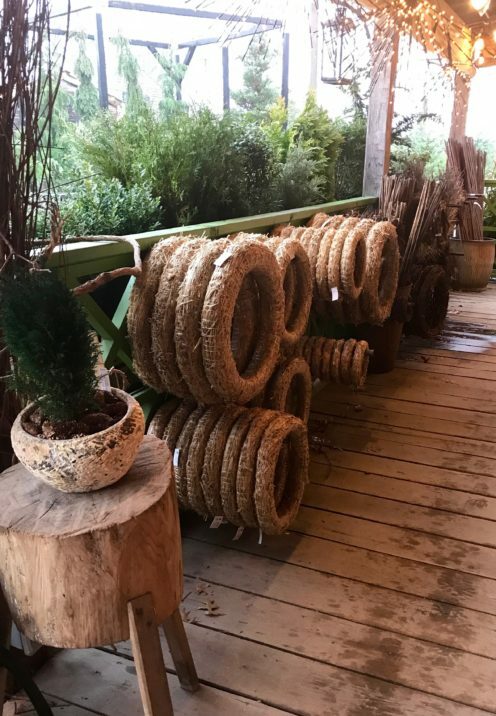 Not the best time to visit a garden store but luckily we were just in time for our reservation at the Terrain Cafe where we could dry off over lunch. 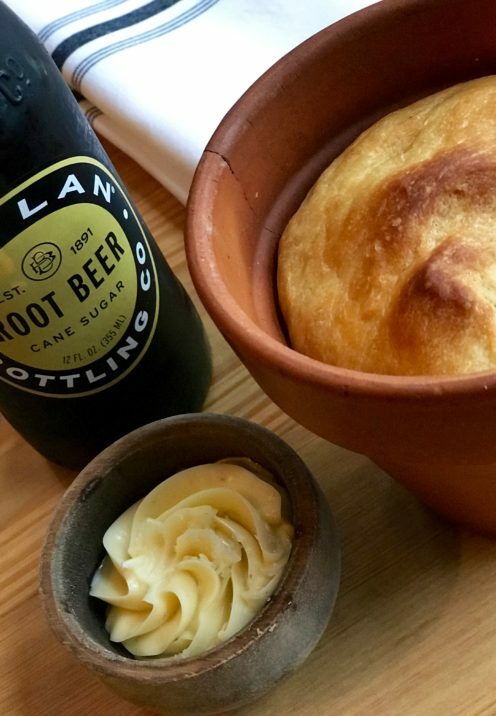 I had read about the bread Terrain serves in small terra cotta pots. To be frank, it was not the best bread, or the most flavorful butter, but it sure was an attractive way in which to serve it. 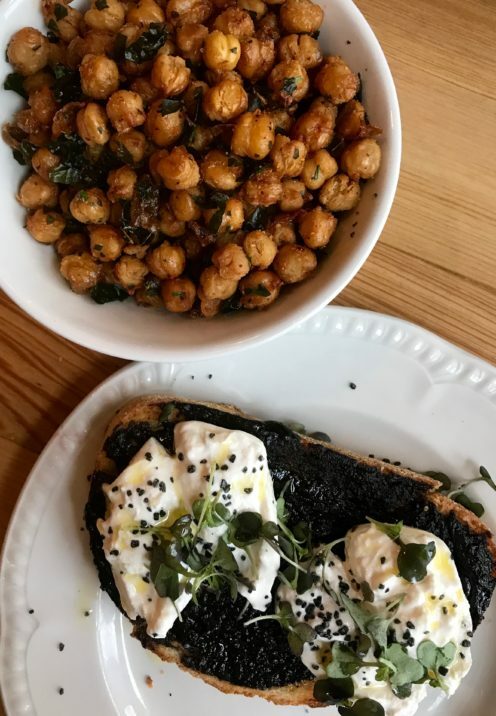 For my lunch I ordered the Crispy Sumac Chickpeas with Kale (which was bland) and the Black Garlic Toast with Burrata and Black Lava Sea Salt, which was OUTSTANDING! I don’t believe I had ever tasted black garlic before, but I sure am glad I did so at Terrain because it is yummy stuff! It’s garlic that has been aged under specialized conditions until the cloves turn inky black and develop a sticky date-like texture. And the taste? Out of this world! It has that perfect umami flavor that can be added to all of your favorite things like aioli, sandwich spreads, salad dressing and pasta sauce. I couldn’t wait to get my hands on my very own black garlic so I ordered some here. After lunch we toured around the store, which was chalk full of so many things I love. I could have done some real damage here had I not been 3,000 miles away from home. Instead I’ll shop at their online store here. 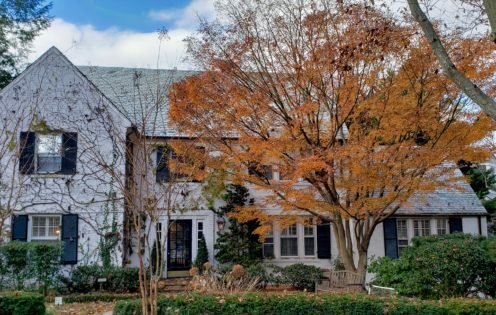 I always get so excited when we pull up in front of our DC dwelling son’s home. That’s because I know my Grand-babies are awaiting our arrival just inside. This visit was brief, just a quick overnight, as the adults were working and the kids were in school. They’ll be visiting us for Christmas in Lake Arrowhead so it won’t be long until we meet again. 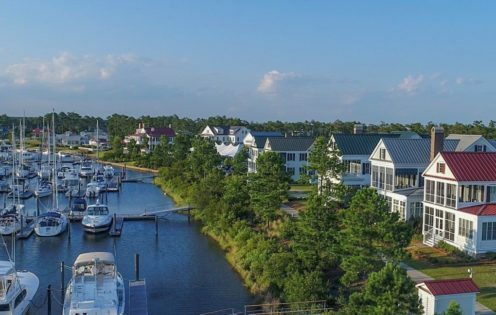 The final stop on our one thousand mile Thanksgiving road trip was the amazingly charming waterfront village of River Dunes, North Carolina. 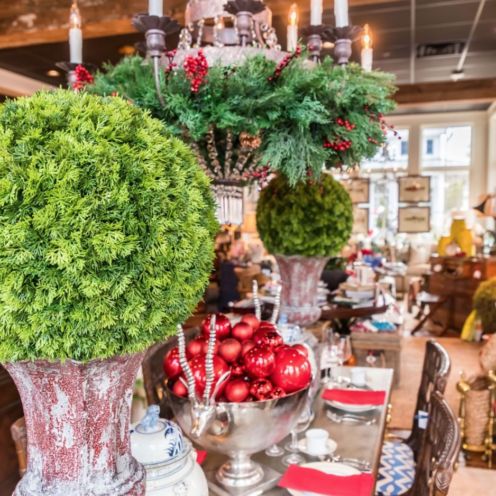 the most adorable home decor and design store called The Red Rickshaw. 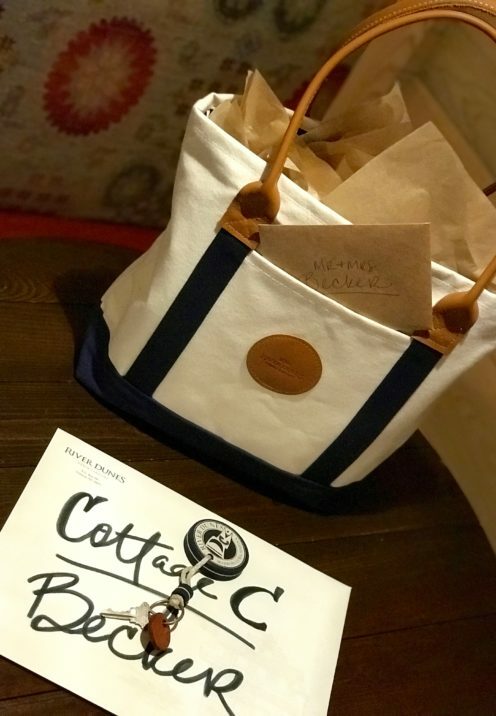 where a canvas bag full of River Dunes goodies awaited our arrival. 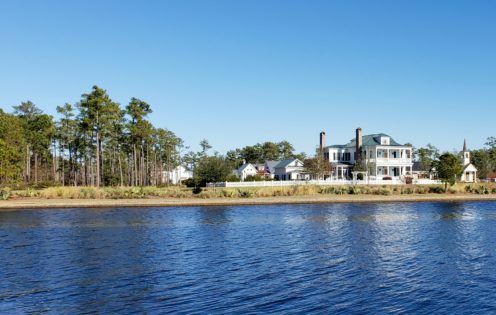 So, if truth be told, Brad and I have pretty much set our sights on making River Dunes our future home. As you know if you’ve been following along here lately, we’ve got our Lake Arrowhead home on the market. 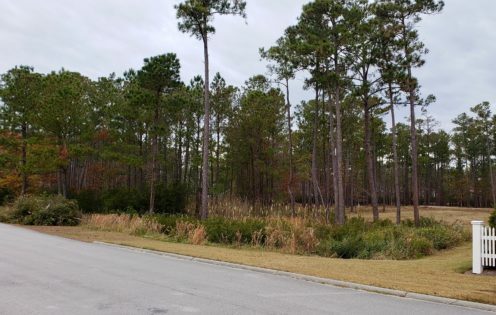 It literally could take years to sell, who knows, but when it does we think we are going to build our next home on that treed plot of land you see in the photos below, just to the left of the home in the photo. Well that concludes my recap of our one thousand mile Thanksgiving road trip. I know it was a long post so I thank you very much if you actually made it to the end.